Starring Jessica Chastain, Nikolaj Coster-Waldau, Isabelle Nelisse & Megan Charpentier. The film is a dark modern day fairy tale that begins with a father who has snapped, killed his coworkers, ex-wife and has kidnapped his children. A snowy road causes an accident that leaves the father and his two children seeking shelter in a shack in the middle of the woods where he attempts to murder his children but foiled in his efforts by a mysterious entity. A few years later, they are found alive, somehow having survived and these now feral children are given over to their dad’s twin brother Lucas (also Nikolaj Coaster-Waldau) and his rocker wife, Annabel (Jessica Chastain). But, the girl’s don’t seem to have come alone and whatever has followed them isn’t happy about sharing them. Coming to performances the two children (Isabelle Nelisse & Megan Charpentier) featured in the film given superb spooky performances. The chemistry between the two of them looks great and works wonderfully, as well as their relationship with Mama. Jessica Chastain is effective as Annabelle, guardian of two kids. Nikolaj Coster – Waldau (Game of Thrones fame) provides a good performance. Rest of the characters are supportive. Mama, based on a short, takes a simple three minute premise and expands it to feature length. It is a supernatural horror flick that does a neat job at developing a creepy-crawly environment and maintaining a feeling that something scary could happen at any moment. The script is effective, it just seems director Andres Muschietti didn’t quite know how to give it the sharpness it needs and the shift in tone for the last act is a bit jolting. I was a bit disappointed with it. The small scary film (budget: $15,000,000) is neatly crafted and shot. 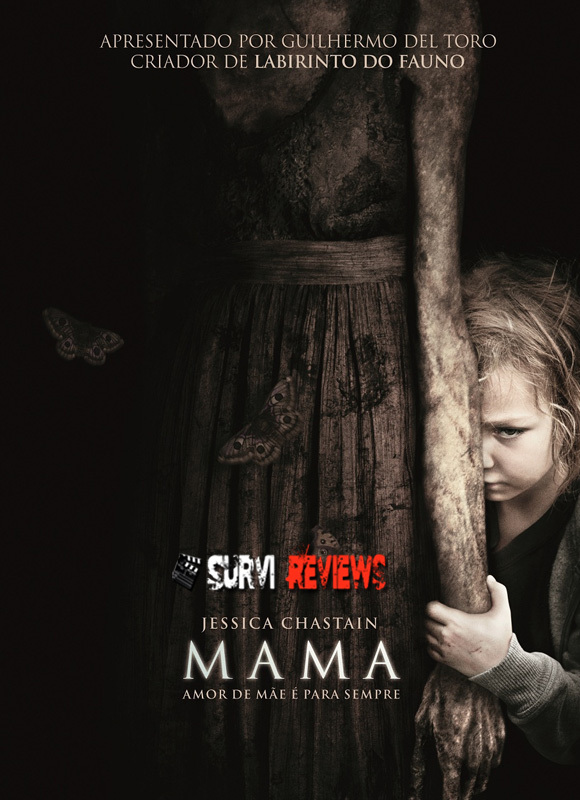 Mama story is engaging, and the film deftly combines a handful of scares, a creepy and tension inducing atmosphere with strong performances. On the whole, Mama is definitely worth a watch movie this weekend. Its one the best Scary films i have seen in theaters in recent times.